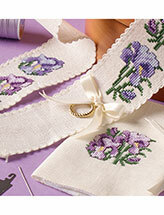 Stitch up a wedding cross-stitch pattern for your favorite couple. 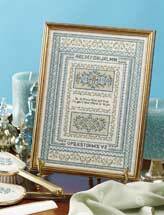 They'll cherish it for years! 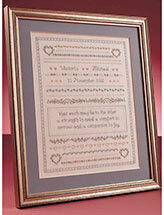 Use a wedding cross-stitch pattern to create a really special gift for a really special couple. 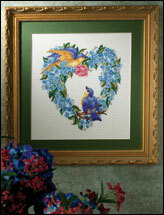 Give the newlyweds an heirloom-quality gift with these cross-stitch designs. 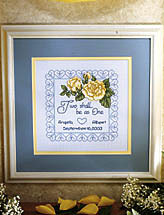 Many of these wedding cross-stitch patterns would also be perfect to use as housewarming gifts. 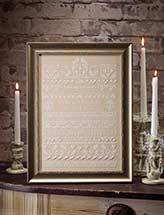 Our collection of wedding cross-stitch designs will bring homespun warmth into any home. 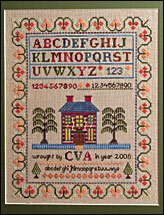 Find a cross-stitch pattern and start stitching today.